Astronauts play a very important role in ‘Space Station Designer’, as they are the ones in charge of keeping the Low Earth Orbit (LEO) station functional and using their skills in order to increase the station’s output. In this blog post, I’m going to give an overview of the astronauts and cover the processes for hiring and managing them. Age: Astronauts need to retire at age 65. Special skill: A unique skill that can be used when the astronaut gets assigned to a commercial services engagement. We’ll cover this mechanic in a future post. Autonomy: The maximum number of weeks an astronaut can stay on a mission at the station before being ferried down to Earth in order to rest. Weekly salary: The amount of money an astronaut needs to be paid for every week spent on the station. Intermediate goods skill: The intermediate goods production boost provided by an astronaut when assigned to a production line. Commercial goods skill: The production boost for a given commercial good provided by an astronaut when assigned to a production line. 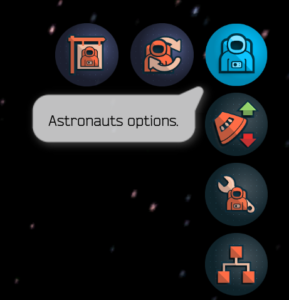 Notice that there are five types of commercial goods available for manufacturing in the LEO station, but an astronaut can only be specialized on one. The commercial goods were discussed in a previous blog post. 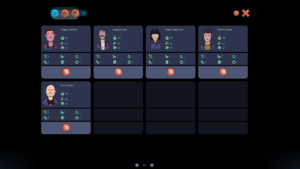 Research skill: The research output boost provided by an astronaut when assigned to a research module. Engineering skill: All space station modules have an individual maintenance value which contributes to the overall maintenance value requires by the space station. The engineering skill values of all astronauts present in the station and assigned to maintenance duties must be equal or greater than the overall maintenance value required by the space station in order to minimize the chances of experiencing a failure. We’ll cover this mechanic in detail in a future blog post. Space tourism skill: The income boost provided by an astronaut when assigned to a space tourism module. Industrial R&D skill: The income boost provided by an astronaut when assigned to an industrial R&D module. 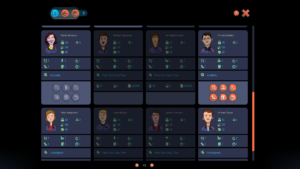 All the attributes shown in the hiring screen, such as age, autonomy, weekly salary and the various skills are still present. In the upper right of the card there’s a ‘Rank’ attribute as well. A new astronaut starts with rank of one and, every time he or she is sent to any skills training, the value increases. Once the value reaches a certain number, no further skills training is allowed. 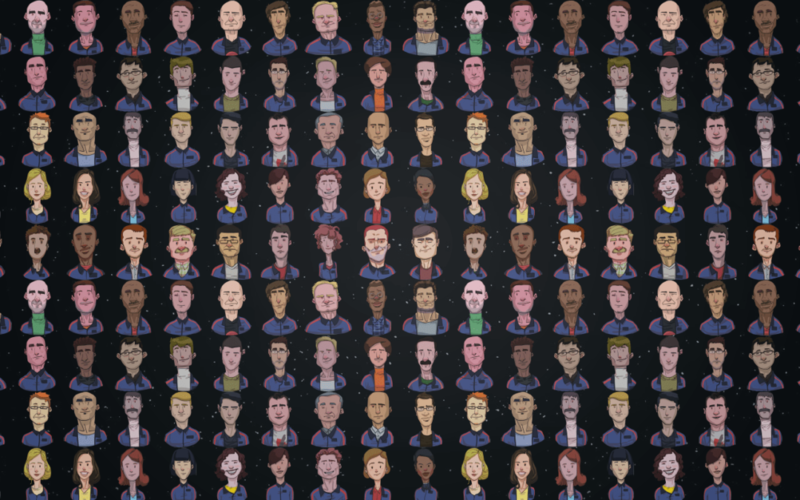 In the third row of the card there’s an icon that shows the astronaut’s location (i.e., on Earth or in the LEO station). Assigned to a production line. Assigned to a commercial service engagement.